From left are Professor Young-Woo Park, Geon-il Goh, and Kyung-Ryong Lee. Quietto, a new way of understanding time and schedule. 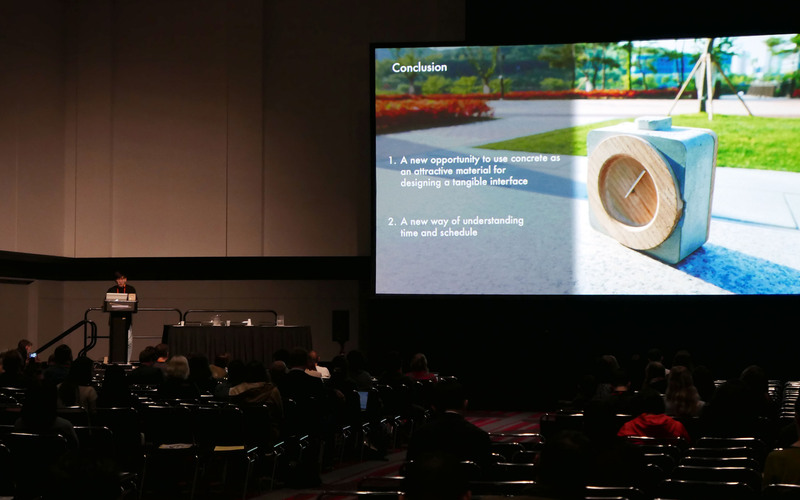 Professor Young-Woo Park's research team received an Honorable Mention Award at CHI 2017. A UNIST design team, led by Professor Young-Woo Park (Graduate School of Creative Design Engineering) has received an Honorable Mention Award at CHI 2017, the prestigious ACM conference on computer-human interaction, held in Denver earlier this month. 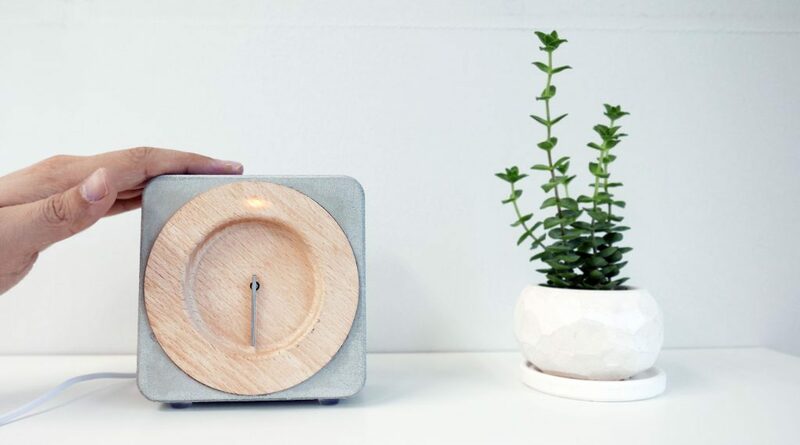 The paper, titled “Quietto: An Interactive Timepiece Molded in Concrete and Milled Wood,” introduces a desk clock that is capable of showing upcoming daily schedules and the time through the quiet, ambient motions of a clock hand and light through the concrete touch interface. Quietto receives the daily schedules that the user has stored in his or her digital device in real time. When the user touches the upper part of the concrete body, the clocks’ hands move, the light comes in, and displays the next schedule. It is a product that physically shows the interval between the current time and the upcoming schedule. 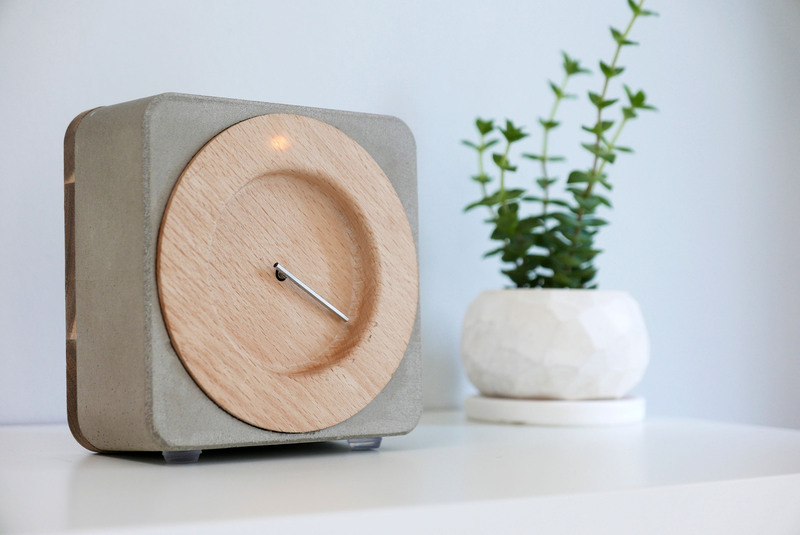 The clock also received considerable attention not only for using concrete as a unique and attractive material for designing a tangible interface, but also for introducing a new way of understanding time and schedule. This award has been given to only top 5% of the 2400 papers submitted for the award, this year. 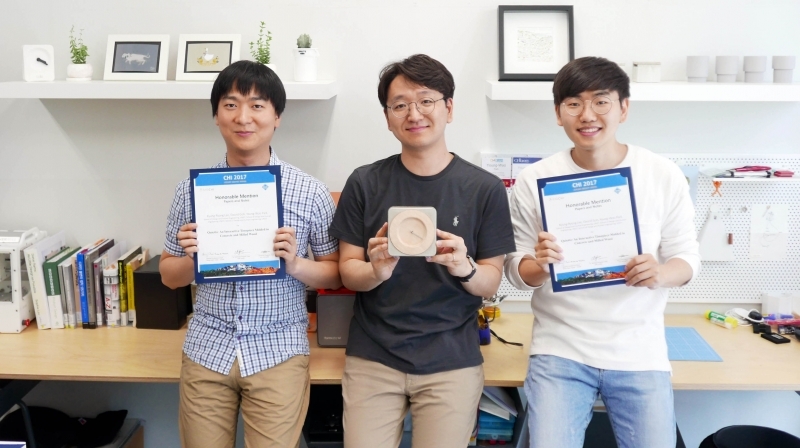 Professor Park’s team has been the only team from South Korean universities and oraganizations who have received the award. The ACM Conference on Human Factors in Computing Systems (CHI) series of academic conferences is generally considered the most prestigious in the fields of interaction design and human-computer interaction (HCI). Some of the world’s top scientific minds from universities, organizations, and startups will gather at the conference to present their latest research, including MIT, Carnegie Mellon University, Stanford University, Google, Microsoft, Facebook, and etc. 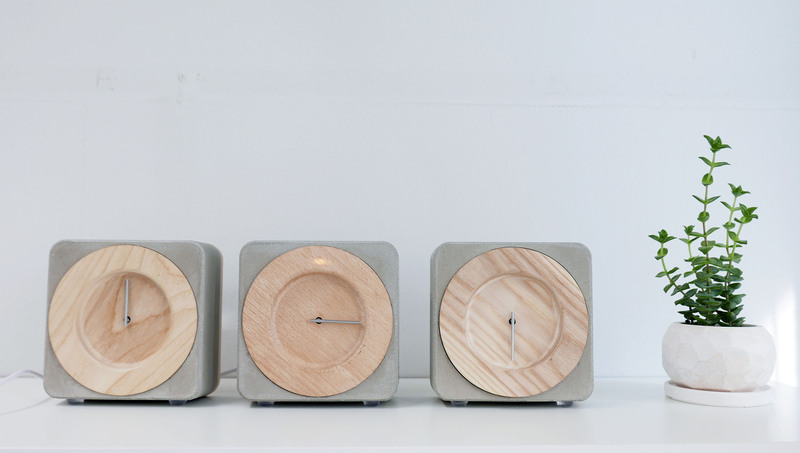 Lee, K-R., Goh, G., Park, Y-W. Quietto: An Interactive Timepiece Molded in Concrete and Milled Wood, In Proceedings of the SIGCHI Conference on Human Factors in Computing Systems (CHI ’17), ACM.